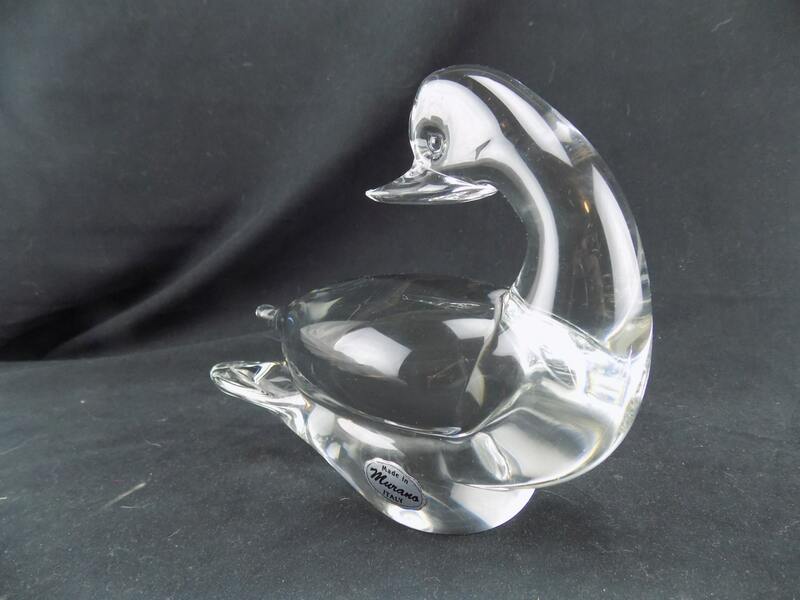 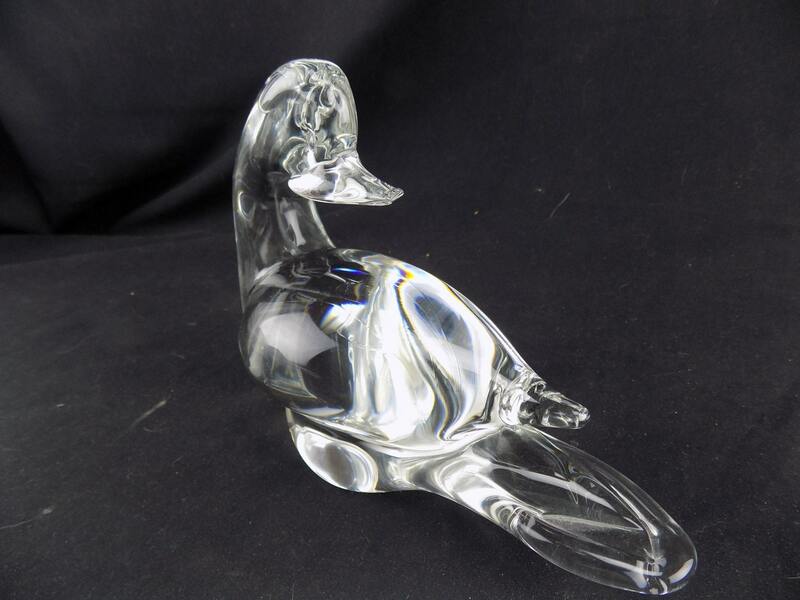 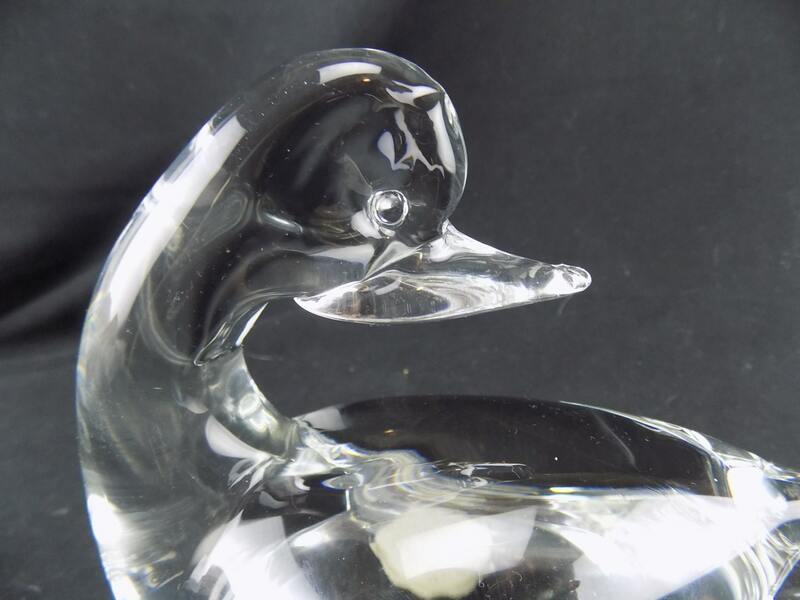 I love art glass figurines and this is a real cool looking Duck with not a single bubble in it crystal clear no flaws. 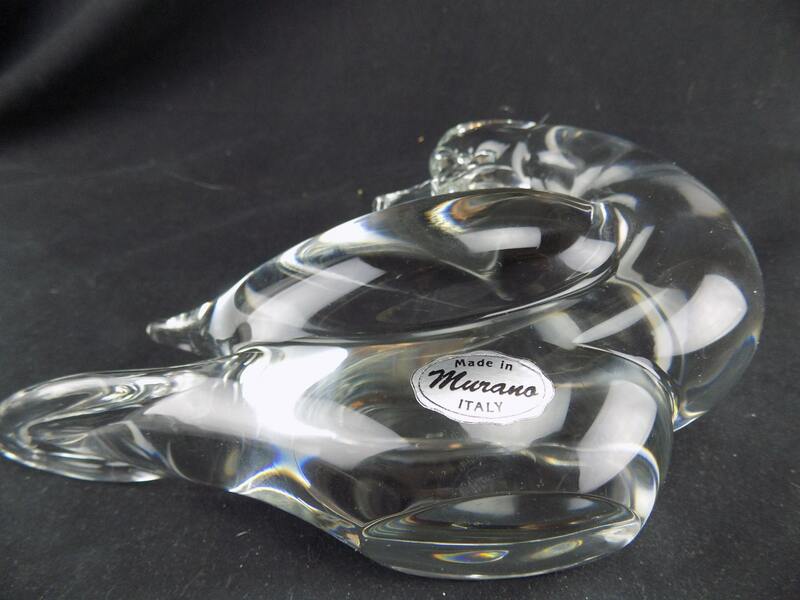 This one has the original sticker could tell it was Murano without it by the quality of the glass. 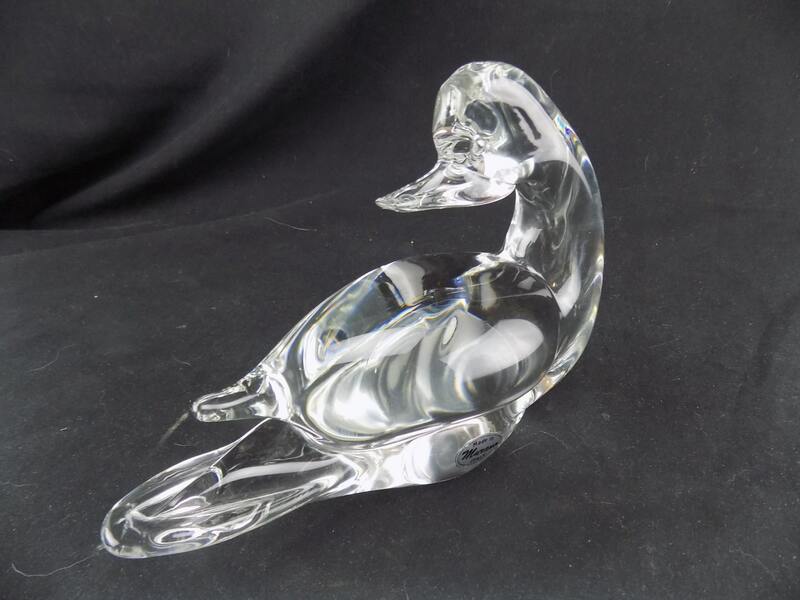 6" high 7 1/2" long 3 1/2" wide no damage.